I love taking indulging in eco-friendly bath products from my online Human Nature store. (If you want natural toiletries benefitting Gawad Kalinga residents, please click on the link in the previous sentence and support my small business!) Another thing I love is crocheting. 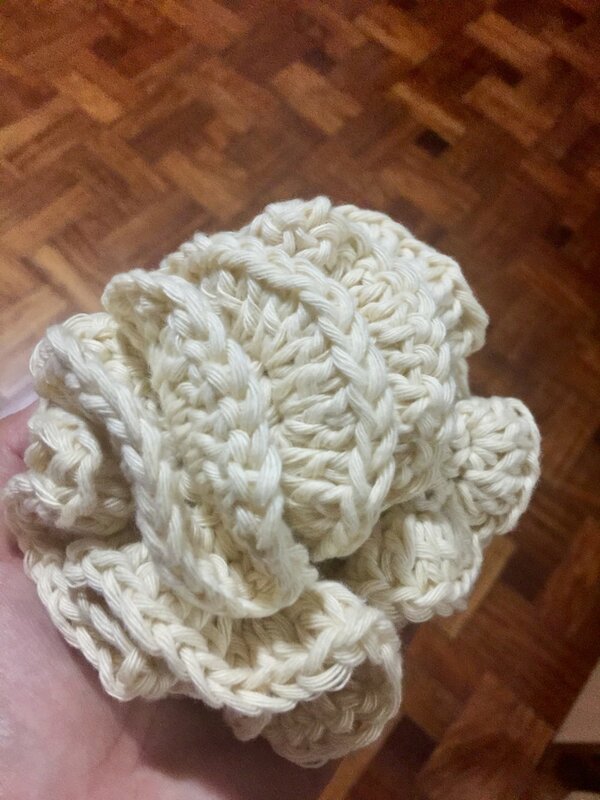 Thus, I have combined my passions for natural toiletries and crochet by making my own scrubbie! I followed a video tutorial on YouTube, so if you are also interested to crochet one, look for a video that suits you. Also, use 100% cotton yarn. As I have already finished my scrubbie, I returned to knitting and began another colorful cowl. I had lunch at Breakfast Bin, where I had my usual toasted naked longganisa with brown talangka rice. For dessert, I had this glorious matcha and toasted oatmeal ice cream scoops. I did some brisk walking at UP Diliman. Then, I dropped by St. Clare to give thanks and offer my intentions. I also visited Rags 2 Riches at UP Town Center to buy a metal straw. It already comes with a pouch sewn by R2R artisans. As always, I had fun looking around the shop as it features social enterprise brands! Then, it was back to UP for me. I watched Curiosity, Adventure and Love. It is a beautiful documentary about an American centenarian, Nana Jessie, who has called the Philippines her home for most of her life. While waiting for the film to begin, I knitted. The film’s co-director, Sunshine De Leon, was there to personally introduce her documentary. She is also Nana Jessie’s granddaughter. 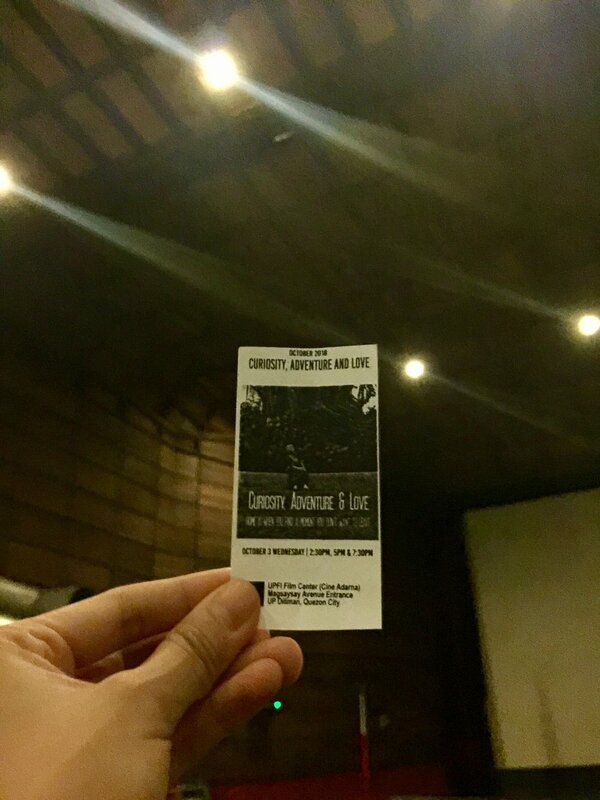 I learned so much about Philippine history just by watching the film. It is a gem of a film, and I highly recommend it! If you enjoy something, go take it further, like in my case! I made my won scrubbie, ate soul food, prayed, bought from a social enterprise, and watched an independent film. Life is too short to wait for happiness to come your way. Make your own happiness your priority!